wow..thanks dear for the tutorials..will bookmark this post for future use.. Thanks it's a useful tutorial :P good one! Cute and beautiful roses, thanks for the tutorial..
Wow..this is creativity..roses looks so pretty and perfect..that's one good and useful tutorial..thanks for sharing! Thanks everyone, Sonia Marzipan is the next one on my list, looking forward to c u'r creations with marzipan. Let me see what all have I missed. wow, love your step by step pics and how those roses take the shape. A very useful post, you have done a fantastic job. This is cool. 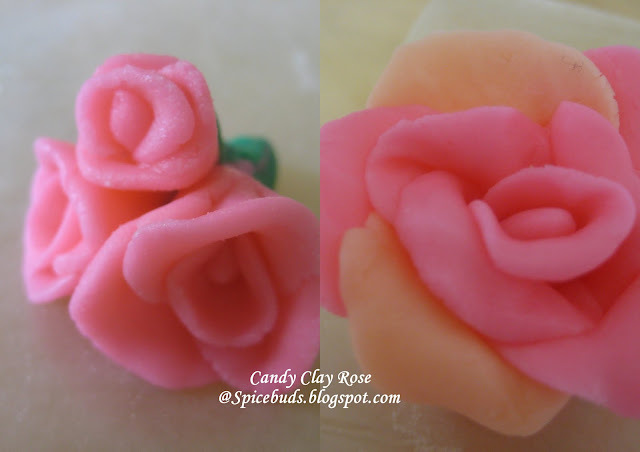 I had thought about making candy clay for some time but never got around to it. 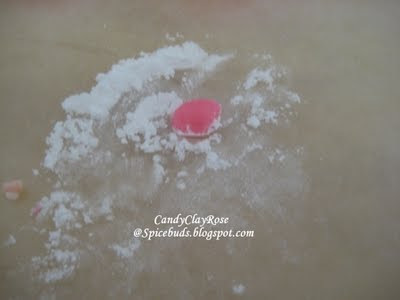 I prefer fondant over this. 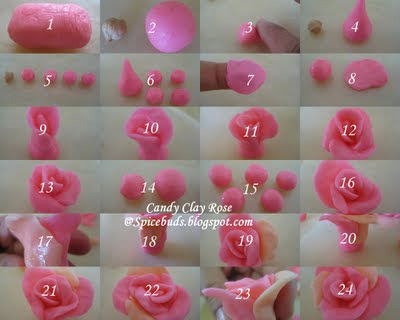 There is a shortcut method to make roses which won't be as beautiful as the traditional - ribbon roses and Duff style rose. BTW, thanks for the compliment. I still struggle to take good pictures but do feel I have come a long way. My initial posts have horrible pictures. My word. These are SO BEAUTIFUL. They look so real--almost jumping at me from the computer screen. This surely is a lovely tutorial. Came across your blog toady. very nice pictures & beautiful blog. Love the roses.